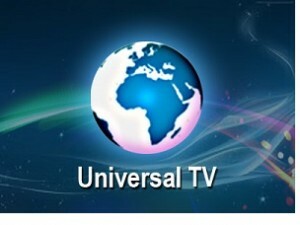 Welcome to Universal TV Somali. Watch live streaming here and always on air. SomaliIPTV.com brings you the best of Somali LIVE TV, therefore, we add more channels and improve the quality of the LIVE TV streaming. Due to many people switching from dish to online media, online streaming is the perfect choice for many. Universal TV Somali broadcasts in Somali language. The channel brings you the latest Somali news and entertainment programs. Universal Somali TV currently broadcasts live news from its studios in London, Mogadishu and Nairobi. Universal TV has offices from around the world. Its head office is located in London. There are also regional offices across Somalia and East Africa. Universal TV Somali station is very popular and is one of the first privately held Somali TV station in Somalia. Finally, Somali IPTV brings you All Somali LIVE TV in one place, hence, this is the number one spot for you to watch all Somali TV channels and not just Universal TV. We have huge database of TV channels available to choose from. If you cannot watch the TV, send us an email and extra details such as device used to watch the TV.